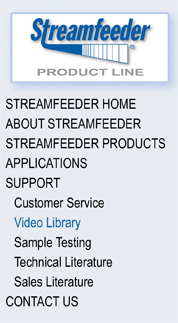 The following is an alphabetical list of videos which demonstrate many of our products and applications. The videos are viewable with Windows Media Player. High-speed, DSL, or broadband connections will provide the best viewing quality. 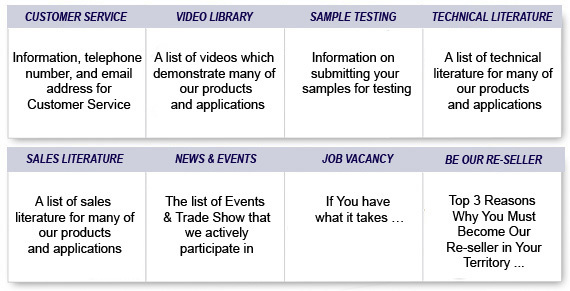 The videos are offered in two sizes. Low-resolution videos are smaller in size and can be viewed more quickly. High-resolution videos are larger in size and take longer to open, but provide more clarity. Saving the video to your computer hard drive for viewing at a later time will also help improve viewing quality. To save a video to your computer, simply right-click on the video title and select "Save Target As..." from the menu that appears.